Can you believe it's August? That means that there is only 3 months until Halloween. Less than that if you decorate super early (like me!) 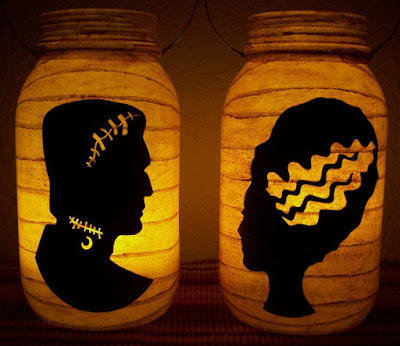 I'm looking for different decor options and these Halloween lanterns by RedHedPrims on Etsy are really cool. Take a look! Can you see these Frankenstein and Bride lanterns on either side of the front door? What a great way to start Halloween night and set the mood just perfectly. This is actually really cute, so kid friendly! The Halloween pumpkin lantern has some retro aspects. The pumpkin in particular looks like an illustration from the 60's. The vines and swirls look really awesome. Spiders are always a great way to make your house feel more creepy! 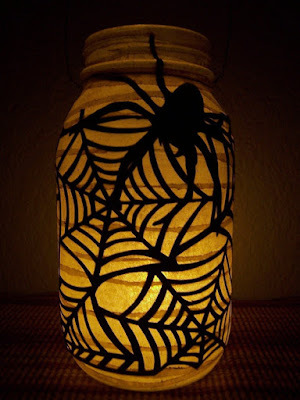 This spider web lantern would be so spooky at night time. If the light is bright enough, maybe the silhouette of the webs and spiders will appear on your walls. 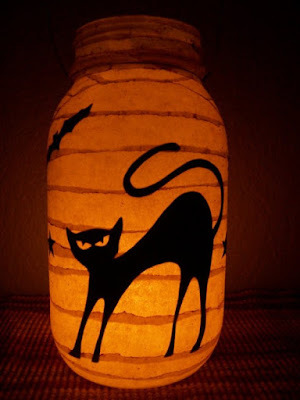 This cat lantern is a little goofy. I still like it, because we all know black cats are a very important part of Halloween! I wish he was scarier than he looks! Having skeleton hands reaching up to you would be incredibly spooky. 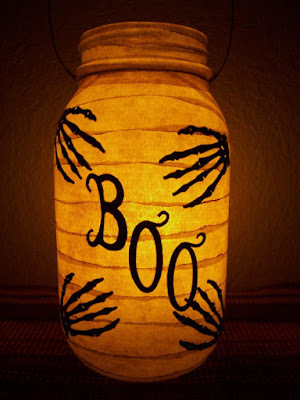 This Boo lantern should be at the entrance of your house! That should prepare everyone for a good scare. 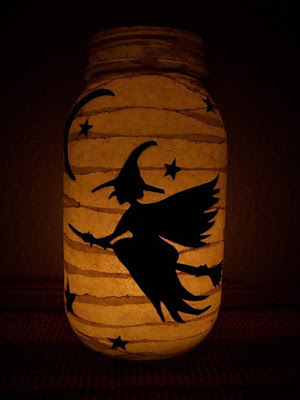 For some reason this witch lantern makes me sleepy! Maybe it's because I'm imagining flying on a broom in the middle of a clear summer night. This is a really adorable lantern that I want to put outside in the backyard. 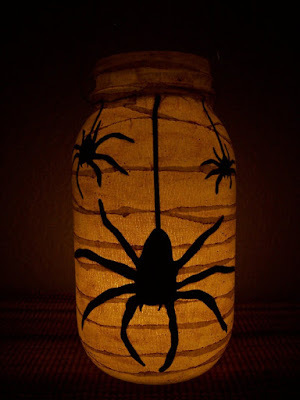 Every time I look at this spider lantern I get chills. It reminds me of those time you're not expecting a spider to hang down right into your personal space. It always happens like that too. Like a very subtle spider attack. 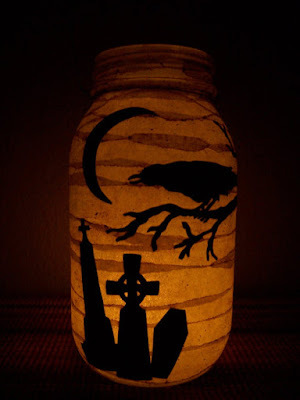 This cemetery lantern is perfect, because it would create such an ominous atmosphere! Out of all the lanterns, I can see myself using this for more than just Halloween. It's just an awesome illustration! I know the hot weather can make us forget about the holidays coming up really fast! Halloween will be here so soon, so we should honestly think about how to decorate and play. 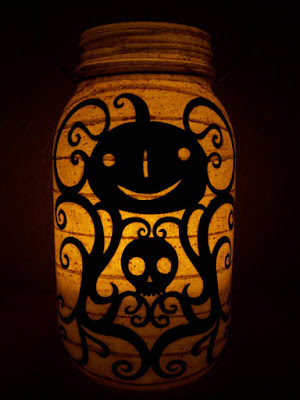 Check out the rest of the Halloween lanterns by RedHedPrims on Etsy. My favorite has to be the cemetery lantern, mostly because I know I would use it all the time. What about you? Comment below!